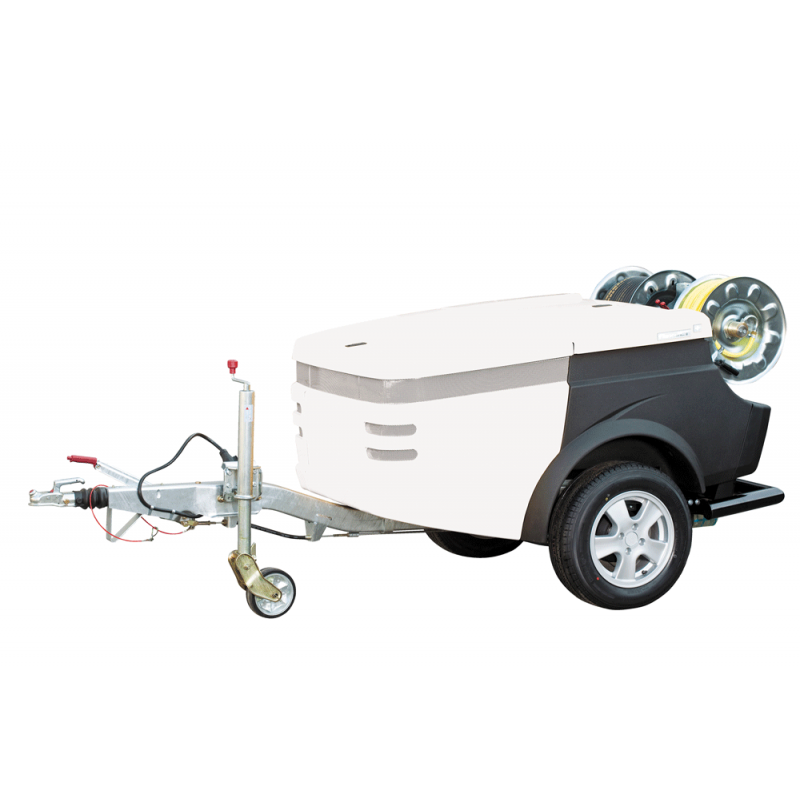 The FlexJet+ is a braked trailer with an integrated 500 litre water tank. 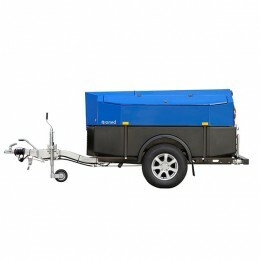 This trailer can be used for professional cleaning and unblocking of drains and sewers up to 350 mm. 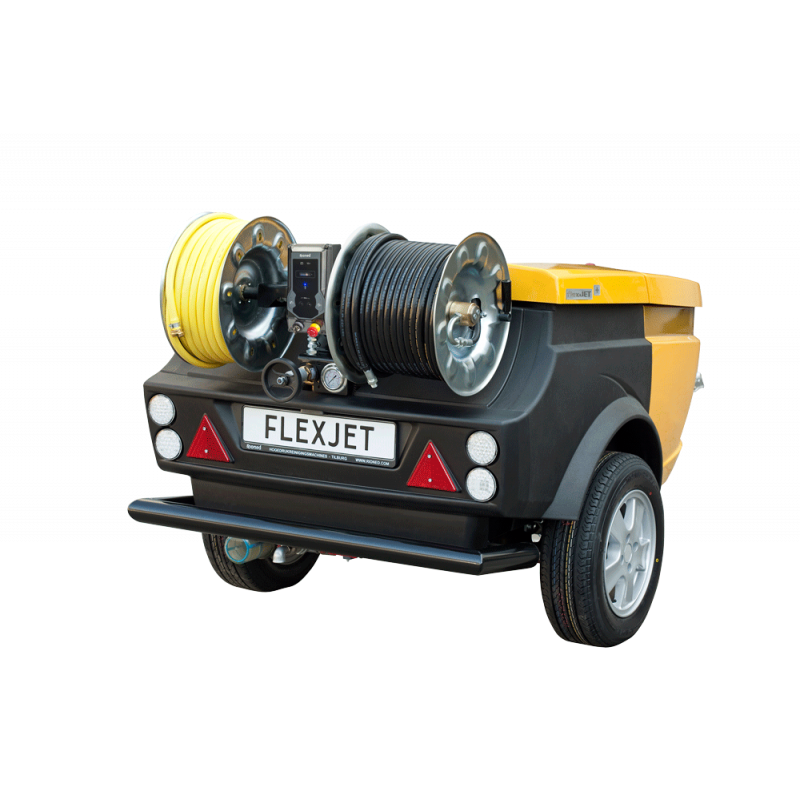 The FlexJet+ has excellent road holding and manoeuvring abilities thanks to its compact size. 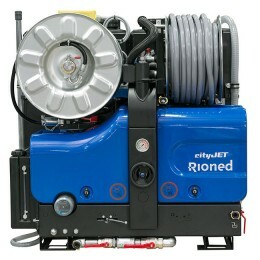 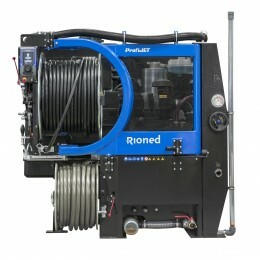 The hose reels are mounted at the perfect working height for ultimate operational comfort. The motor-pump compartment of the FlexJet+ is enclosed and supplied with flame retardant insulation material along with a special cooling system. 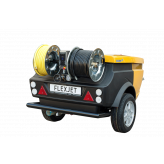 The FlexJet+ has also been acoustically dampened to minimise noise pollution.